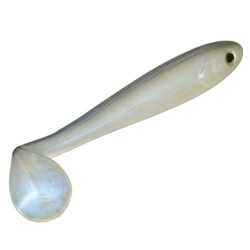 The Strike King Shadalicous Hollow body swimbait is designed for the discriminating fisherman. Every feature, from the action to the lifelike colors, is designed with one thing in mind.... to catch MORE and BIGGER fish! Rig on either an open jig head or with a weighted hook and fish with a slow, steady retrieve. Match the hook size to the bait's size and you'll be ready for big fish.